The High Sierra® Tactic 17" Computer Backpack is a rugged compu-backpack that stands out with its unique look and subtle pattern. A multi-compartment design features a padded interior Cushion Zone computer sleeve (holds up to a 17 inch laptop) as well as an iPad®/tablet. Large front zippered pocket lets you stash your belongings. 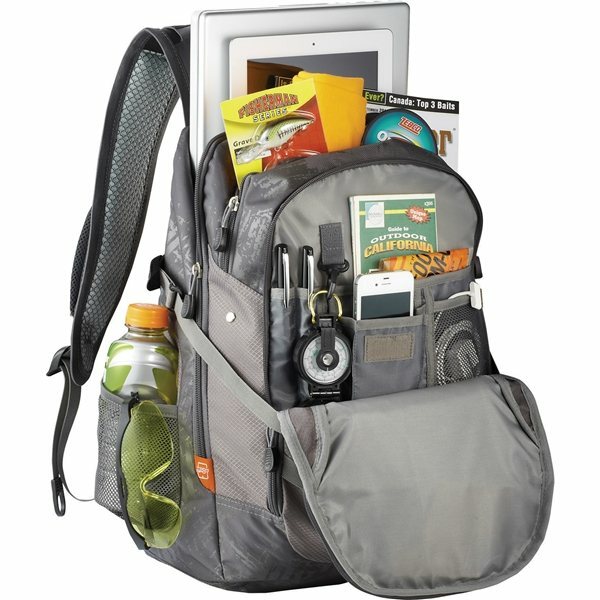 Also features an organizer compartment with multiple pockets, a zippered mesh pocket and a key fob with a mesh pocket on the backpack strap for your iPhone or other music player. 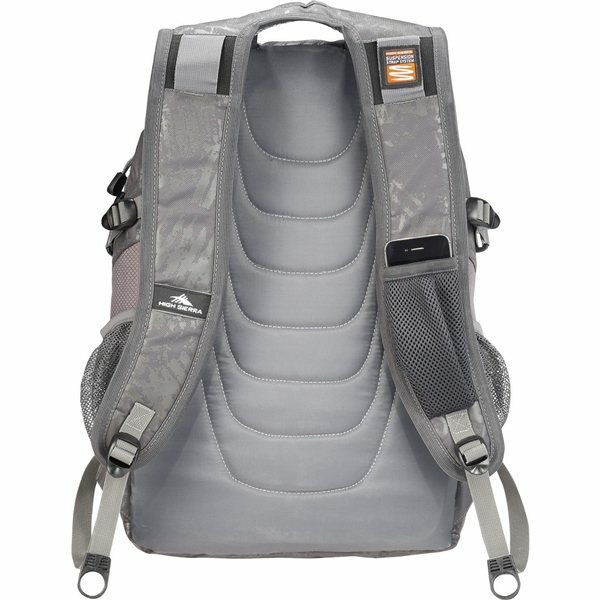 S-shaped Vapel™ mesh Airflow™ padded shoulder straps with suspension system. Side compression straps help control your belongings no matter how much you decide to load. 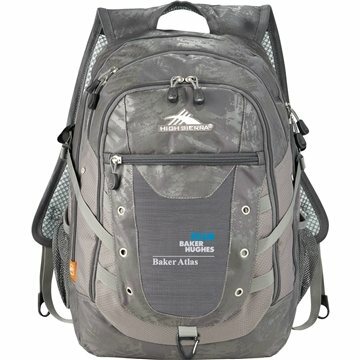 External clip attached for additional storage, good whether you're hiking or commuting to work. Very satisfied with the size, price, and Screen printing on this item. Love how big the imprint area is. Our logo design really sticks out. I recieved what I expected and it was shipped on time great work. A very good quality piece for low cost. Product is very profesional and very helpful.